When it comes to do-it-yourself home improvement projects, taking care of your own landscaping in order to increase the value of your property can be a huge money saver. That being said, there are many landscaping mistakes you’ll want to avoid else your DIY landscaping project might end up costing you more if you need to bring in the pros to fix your mistakes. There are countless DIY landscaping projects out there that, when executed right, can increase the value of your property. All you need is a little bit of patience, a break in the weather, and a few tools you likely already have on hand. Here are a few easy landscaping tips from us at Ottawa Home and Garden Landscaping & Interlock that can increase your home’s curb appeal as well as your backyard patio enjoyment. A well-manicured lawn is one of the best ways to instantly improve your home’s curb appeal. A nice lawn truly draws the eye and always gets and maintains the attention of neighbours and passersby. The lush colour of the lawn and the pleasing smell of freshly cut grass makes the entire property more appealing. Plus, it’s also a great feeling to walk barefoot on healthy grass or turf on a hot summer day! While maintaining a healthy lawn is relatively easy, it does take patience, tons of water, lots of cutting, frequent fertilizing, and, depending on your location, de-mossing every now and then. It might take some trial and error, but it’s always worth the effort in the long run. You can create an equally appealing outdoor landscape and minimize the amount of time it takes to maintain a healthy lawn by installing a rock garden instead. Using natural stones in designated areas can bring a unique feel to an outdoor experience, and the beauty of natural stone can be endless. 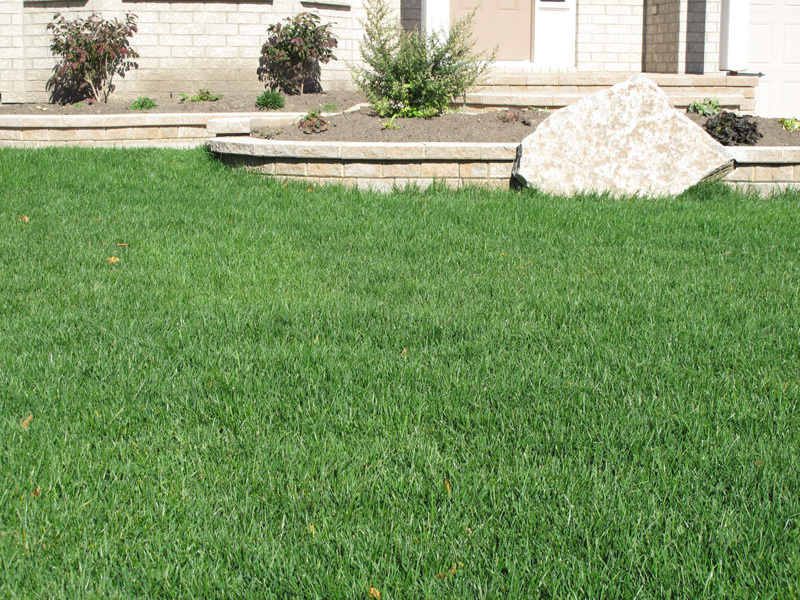 Rock gardens instantly improve the look of areas where grass has been stubborn to grow, or where weeds persist. They are especially attractive options in the summer because they don’t require constant watering. Installing your own rock gardens is simple. All you need is something to smother out weeds and provide a foundation for the rocks, such as a natural burlap or plastic underlayment, and the right river rock and decorative stones to suit your budget and design preferences. We also recommend having a strong shovel and wheelbarrow on hand for this project. Along the way, you can boost the look of your rock garden simply by adding succulents and large stepping stones to the mix. To take your DIY landscaping skills one step further, consider adding some colourful flower beds to bring dimension to your outdoor space. Planting the right seasonal flowers can be a delight for potential buyers, and it’s easier than you think to get started. For starters, use a long cord, rope or string to outline or sculpt out a space for the flowerbed. By using simple tools like a garden hose and a can of spray paint, you are able to adjust the size, shape and overall design of the flower beds before you begin to excavate the area. Once the area is cleared, you do not need to worry about adding retaining walls or plastic edge restraints to keep the grass from migrating towards the defined flowerbed. By using a shovel or edging tool, you can maintain the bed’s outline with very minimal effort. Have you ever seen retaining walls or plastic edge restraints on a golf course bunker? No. This is because these features are not functional for the space, nor are they are all that attractive. You can save thousands of dollars from the initial cost and potential reinstatement costs of raised garden bed landscape features by following the example of your local golf course. This process of maintaining the edging of a flower bed is also time-effective, since in many cases you may only need to attend to the outline once or twice a year, or as you see fit. 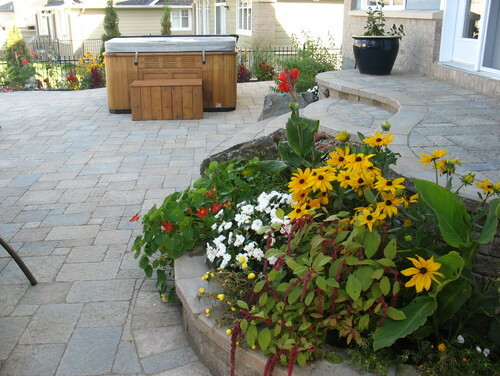 With your flower beds in place, it’s time to choose the right plants to suit Ottawa’s climate. Start by taking pictures of your flower bed space at different times of the day and knowing what direction the flower beds face. Bring this information with you to a local nursery. In many cases, an on-site horticulturist can provide free advice on plant species that could work in harmony with your space, saving you spending thousands of dollars on hiring a landscape designer to do the exact same thing. Before you get started on any DIY landscaping project, always follow the bylaws in your area to ensure your project goes as smoothly as planned. This may include, among other things, having all services marked and documented before you start. 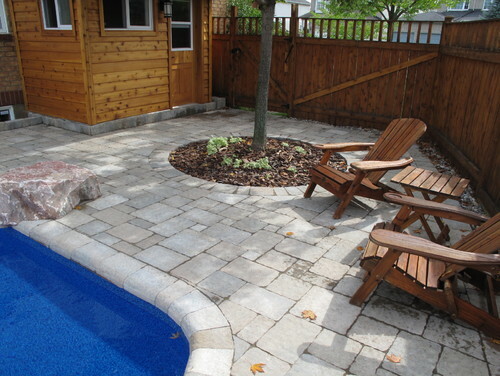 For more inspiration for your future DIY landscaping projects, we encourage you to look through some of our Ottawa landscaping projects. If you like to take care of your own landscaping, take heed not to make these common landscaping NO NOs.